A few weeks ago, I FINALLLY took a trip downtown to see the Brooklyn Bridge. I've been wanting to walk the Brooklyn Bridge ever since my first trip to New York, a few years ago. And now that I live in the city, it only seems fitting. My roommates, along with some friends visiting from out of town all decided to make a day of it and walk across the bridge into DUMBO. As you start entering the Brooklyn Bridge from the Manhattan side, you first walk along side the highway and soon start to see the infamous arches of the bridge. Then as you get toward the middle, you start to see views of both Manhattan and Brooklyn. It's the most amazing skyline. For me, it was a bit emotional. It just so happened to be the day after my last day at my job. Standing there on the bridge was surreal for me. It reminded me that in life, you can often be in between two points and you have the choice as to which one you decide to embark upon. I definitely had some moments of tears as well as pure happiness as I walked the bridge. And to be there with my best friend, Will of over 10+ years, was amazing to experience it together. And a day that I will never forget. 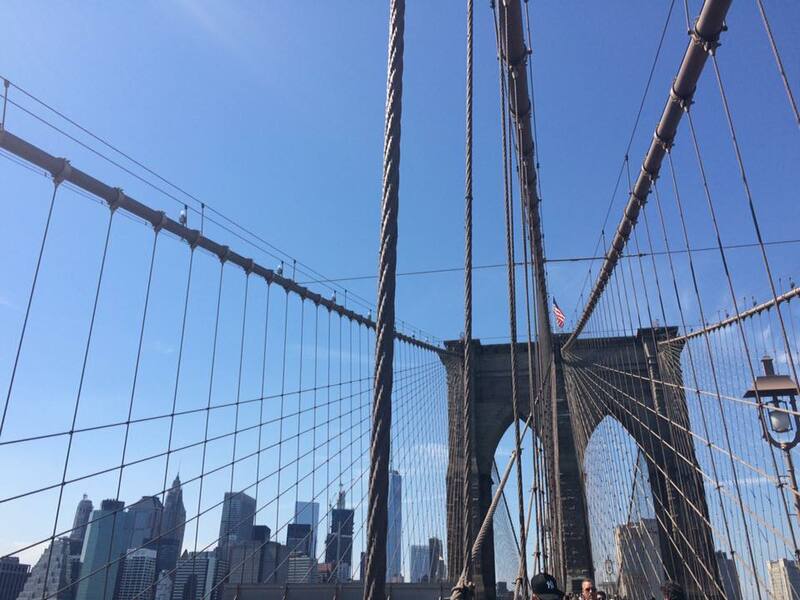 For anyone visiting or living in New York, the Brooklyn Bridge is a MUST.